Why Our Cameras Are Better and what should you except from security cameras. I never really gave security cameras much thought before last week. I went to the mall during an insane downpour, did my shopping and when I left, I was stunned, not to see my car. I looked, and suddenly it dawned on me. My car had been stolen! I had some computer equipment in it (plus a really nice 7 rib roast) and since the back door can be unlatched with the string I have connected to it, I was certain. My car was stolen. I ran inside and called the police after inquiring as to whether the store had security cameras. The police were happy that there were. Apparently, it makes their job a lot easier when there are cameras. Suddenly, I caught a glimpse of the same ick green color that describes my minivan- and realized that it was not stolen, it was parked in a row I did not recall parking in. I probably didn’t pay attention to where I parked because I was running so as not to get soaked in the downpour. I was grateful but embarrassed. Then, I thought about what a good thing it was that there were cameras in the parking lot and I started researching them. I was surprised by what I learned.Security cameras today are a far cry from the ugly black bulbs on the ceiling that provide grainy images you can’t really see. True security does not come from a camera alone. A camera connected to a security system is really an amazing thing. There is an intelligence about the whole thing that really never happened when security cameras were just cameras, and the utility of the camera is much more exciting than just being able to see what happened when a robbery took place. In my research, it became apparent that Megasystems Security has the best cameras and integrated systems. They are so smart! Security cameras inside your home can allow you to enjoy watching your children when you can’t make it home from the office. With the ability to focus in on your live feed, you won’t miss a smile! You’ll be able to see your loved ones in detail! One family I learned about used their security system while their father was away on business trips! They even put on plays for him! That same system, allows the homeowner to see what just went bump in the night. Megasystems Security offers night vision with infrared vision. Both for inside and outside cameras, this feature allows you to stay in your cozy bed, instead of running to see what is going on! The features of smart home security systems, combined with a great camera mean that you can see exactly which family member just entered or exited your home. It also means being able to use your wi-fi doorbell to answer your door remotely, enabling two-way conversation with visitors and being able to see who is at the door and why. You can let a tradesperson in, or rescue your child who lost his key. Megasystems Security has features that make it easy to enjoy the recordings that you make, with the ability to share by email, text and social media. Warn your neighbors or the police that someone is creeping around the neighborhood. Show them who, by posting your footage. Perhaps little Susie did a perfect backflip in the backyard, but your back was turned? Let her show you from your camera footage! Remember those eyesore black bubbles? Megasystems Security’s sleek and beautifully designed cameras blend right into your home’s décor. 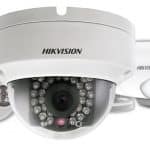 Outside, wireless cameras are weather resistant, both hot and cold and provide excellent night vision for when you need to see what is going on outside. Megasystems Security has the ability to have your system fully installed promptly. The professionals at Megasystems Security will help you configure and work out the best conditions for installation, whether you install it, or they do. They back up their products and provide support for their customers. Because customer service never goes out of style!